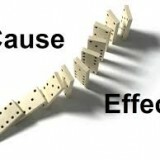 Home » Evidence » If causes are not “divisible” damages will flow. If causes are not “divisible” damages will flow. Ms. K. suffered whiplash type injuries in a 2007 car accident. Her pain became chronic and she became depressed. The consensus of the medical experts at her trial was that “her chronic pain is unlikely to resolve and the focus of her treatment should be on pain management, not cure.” Ms. K. admitted that she had a troubled childhood. also, a few years after her accident she experienced a torn rotator cuff, then shoulder surgery and then a frozen shoulder which were all unrelated to her accident. In K. v. Galasinao, 2015 BSSC 1532, Mr. Justice Blok concluded that “there is a significant psychological aspect to Ms. K.’s ongoing difficulties. They may not rise to the level of a psychiatric disorder but it is plain that psychological issues play an important part in her level of functioning and her approach to rehabilitation.” Factors unrelated to the accident contributed to her depression. Despite these facts, the judge fully compensated her for her depression and her chronic non-shoulder pain. He concluded that “since the accident is one of several causes of Ms. K.’s psychological problems and the causes are not divisible then causation in law is made out”. He applied what the Supreme Court of Canada decided in 1996 in the very important case called Athey v. Leonati. The wrongdoer remains liable where his negligence caused or materially contributed to injuries and his responsibility is not reduced by any contributing causes which are not wrongful acts. In this case, Ms. K’s depression could not be attributed to any singular cause. Therefore the defendants were liable for all of her depressive and chronic whiplash symptoms but none of her shoulder symptoms. $261,681 (less an adjustment respecting income tax) for her past loss of income.